I have been to 3 raves so far. I went to two raves at Youmacon and one at Colossalcon. I have seen people wearing a variety of things at these events from kigurumi onesies to furry costumes. (I wouldn't suggest wearing those unless you can tolerate potentially overheating or you have one that is made out of strictly cotton.) When you go to a rave, it is best to wear clothes that you can breathe in because it can be a very hot atmosphere especially if you enjoy dancing. The first time I went to a rave, I almost passed out from being hot and dehydrated.. So make sure that you have a water bottle on you. SN: Buy a fanny pack with a water bottle holder compartment. 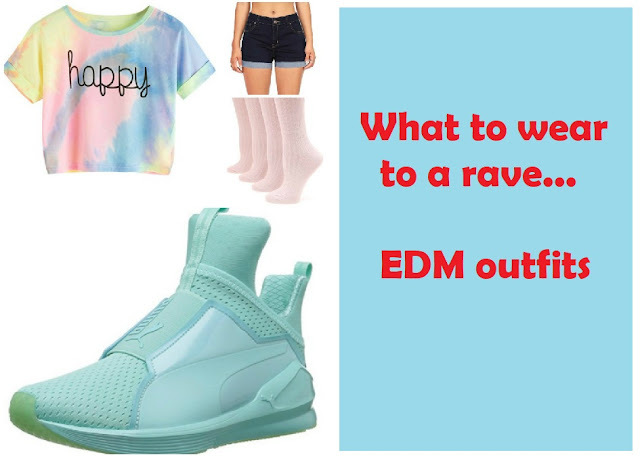 Anyway, here are a few ideas on what to wear to a rave. These are some of my own personal EDM outfit ideas that I put together. You do not have to dress exactly like the ideas that I came up with, but you can use them for inspiration if you like! 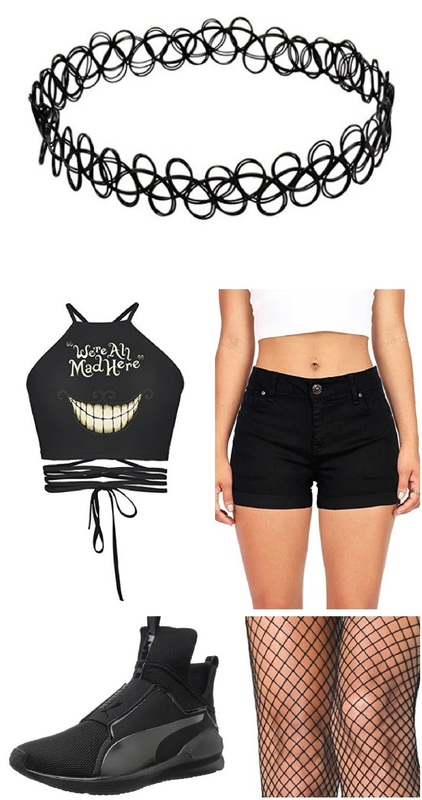 The first rave outfit is basically a pair of black denim shorts, a black crop top, some fishnet stockings, a black choker, and a black pair of gym shoes. I love pairing fishnets with black shorts and wearing a choker of some sort. It makes the outfit kind of edgy in my opinion. Also wear comfortable shoes that you can dance in. I am loving the Puma's and they are going to be in every EDM outfit so just a heads up. You don't have to buy these gym shoes in particular, but just make sure that you have on comfortable shoes to dance in. This outfit is filled with pastel vibes. I would actually just wear this on a normal Summer day. You can throw on a loose fitting crop top that will give you more air to breathe as you dance around. Denim shorts are always easy to throw on. Since the shirt has a bit of pink in it, I threw in these light pink socks. There are 4 pairs in a pack which you can wear for 3 more extra days which is nice if you like the color light pink. The shoes are everything though!! I love this Aruba Blue color of the Pumas! However you can wear whatever gym shoes you have. The combination of the colors pink and black are sure to turn heads. 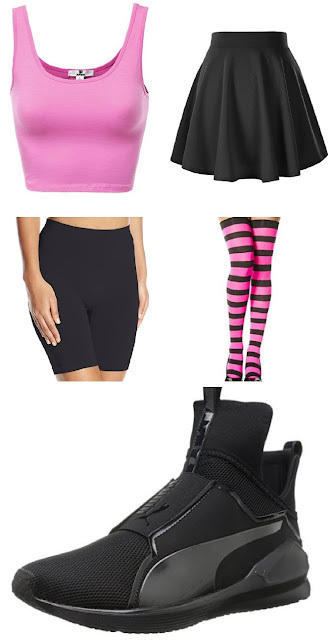 I paired this pink tank top with a black skater skirt, pink and black striped stockings, and black sneakers. I added in the black biker shorts to help keep my underwear concealed as I am dancing around. If you think your legs will get hot, you can roll the stockings down or you don't have to wear them. If you're going to an anime convention, you could wear this Jigglypuff crop top with pink leggings, a hologram fanny pack, and pink sneakers. I absolutely love this and if I didn't wear it to a rave, I would just wear it as a shopping outfit or I would wear it during a workout. Again, I love the pastel pink version of the Puma cross-trainers! If you are a person that would like the spotlight on you, wear this outfit and gain the attention of all! 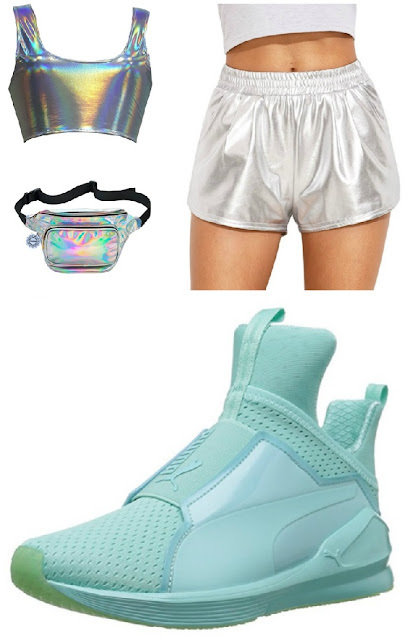 This shiny outfit consists of a holographic cropped tank top, silver shorts, a holographic fanny pack, and gym shoes. If you dance a lot and you feel like you are going to be extremely hot, this is the outfit for you. This is for anyone who loves Harley Quinn. I would wear this Harley Quinn dress with black dance shorts, fishnet tights, and black sneakers. 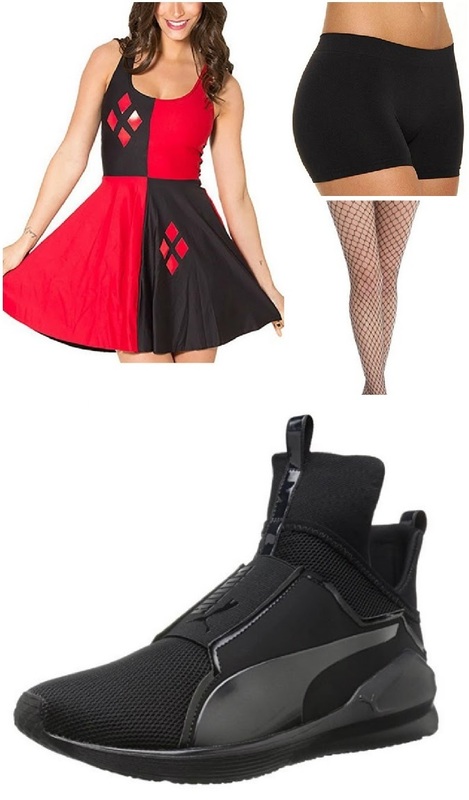 If you wear pigtails the way Harley Quinn does, you can do a quick rave cosplay of her. As for the last details to go with the outfit, get some light up accessories. 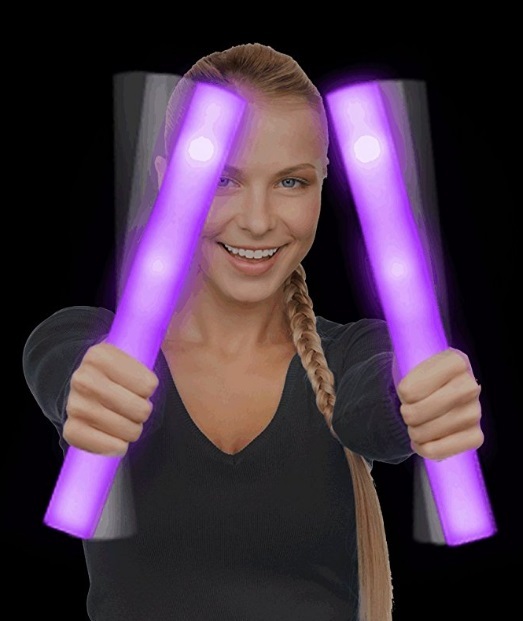 These light up bracelets would be perfect for keeping your hands free as you dance around and live it up! I bought some light up foam sticks from a con, but they changed colors. 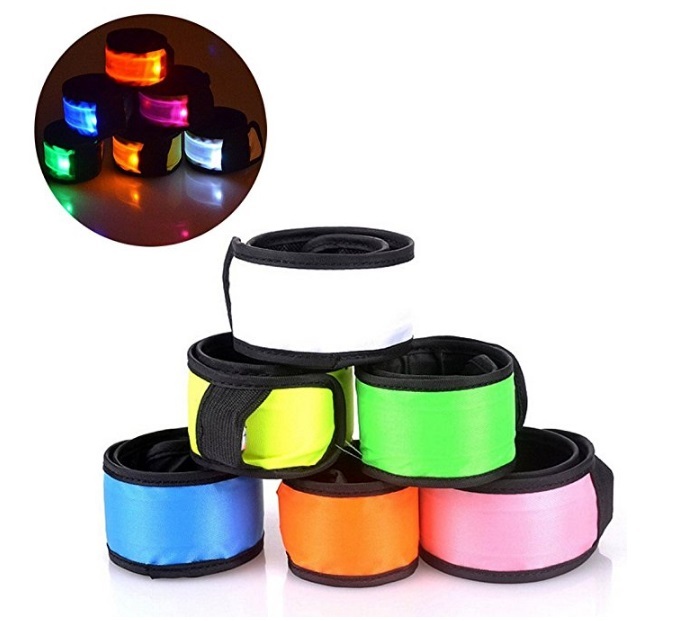 If you want to dance with a specific color, you can check these out. 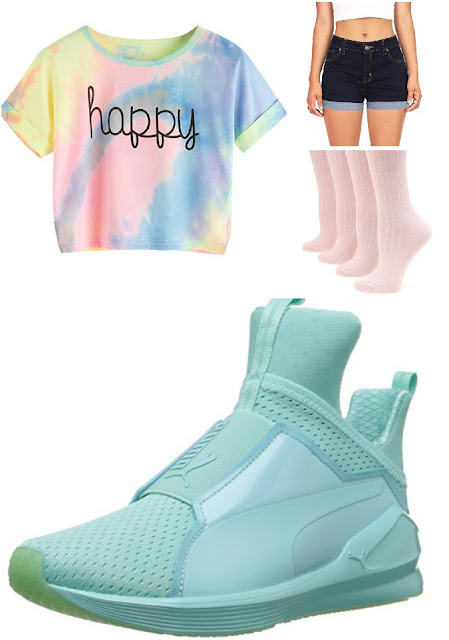 So I hope you guys enjoyed my outfit ideas for what to wear to a rave. You don't necessarily have to wear the exact same outfits that I came up with, but these were just some ideas of what I would wear. Overall when you go to a rave make sure to stay hydrated and have fun!